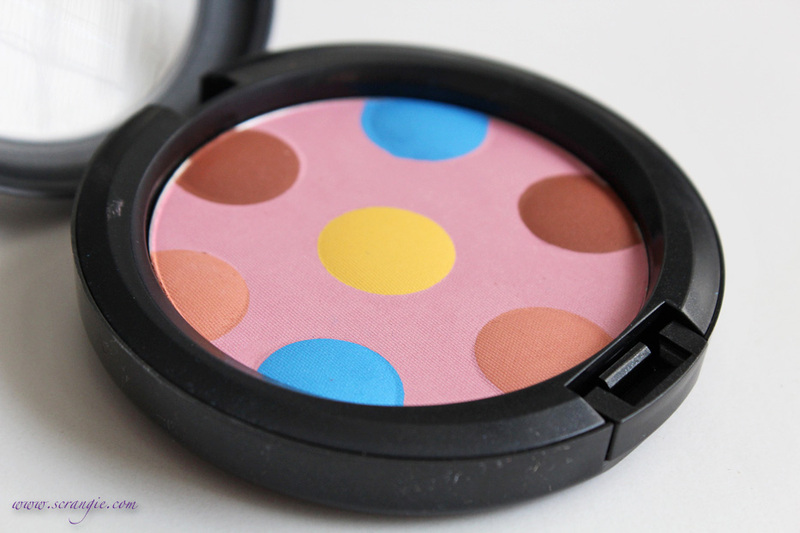 Play with polka dots to create highlighting effects on your eyes by blending the colours of this ultra-fine, lightweight pressed powder with a velvet-smooth finish. Limited edition. The design (raised, brightly colored polka dots against the flat pink base) is quite cute. 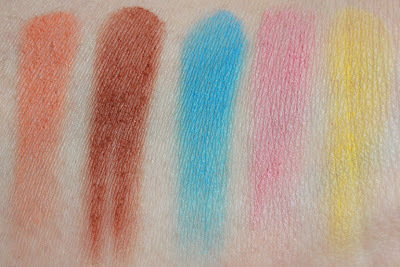 The pigmentation is decent on most of the colors. The texture of the powder is smooth. It looks like it would be hard and chalky, but it's surprisingly soft. The combination of colors seems odd, but they actually go quite well together. EDIT: This can also be used as a blush. Forgot to mention that before. I first tried it as a blush, but then I noticed that MAC's description of it mentions only eyes, so I thought I was using it incorrectly. It works both ways. As a blush, blend all shades together to get a soft, warm pink. As a shadow palette, just use the colors individually. The yellow is more sheer and chalky than the other colors. I know that perfect matte yellows are rare, but I was hoping this would be a little more pigmented. The small size of the dots sometimes leads to picking up some of the pink base on your brush when trying to use the other colors. While it is less expensive than buying five individual eyeshadows, $38 seems rather high for this. The quality isn't bad, but it's not exactly $38 good, either. EDIT: One more thing I forgot to mention. MAC's description of this is somewhat vague. I originally thought it was a blush because of the size and the name, but their description only mentions eyes, leading me to believe that it was intended as an eyeshadow palette. It's confusing, but the product does work both ways, so I don't think either option is wrong. This seems to me like more of a novelty/collector's item than a truly useful eyeshadow palette, but it's really not bad. I was expecting a chalkier formula and for the colors to be only overspray, but they're not. The texture is nice and the pigmentation is decent. I would have preferred an eyeshadow quad or a normal palette because they're easier to use, but the multi-colored, polka-dotted powder design is definitely cute-looking. 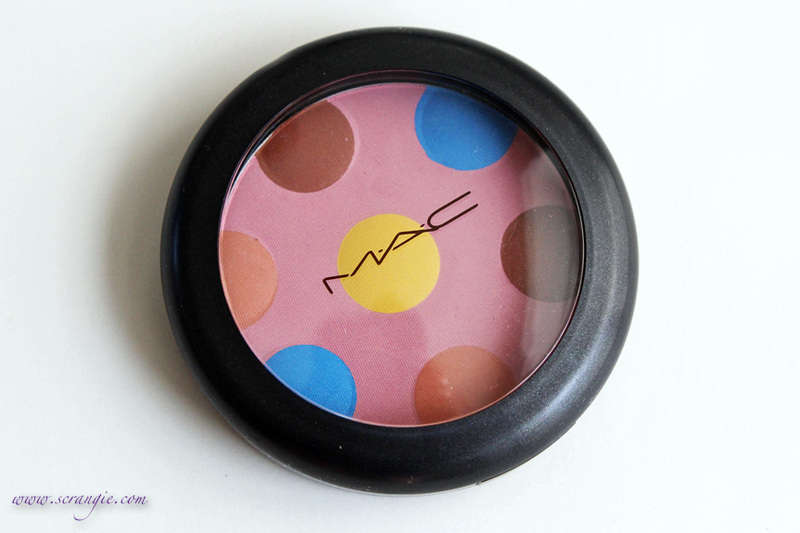 The MAC/Beth Ditto Powder to the People palette is $38 for 10g / 0.35 oz. It is limited edition. pretty, but i wouldnt by this. Same! Maybe if it was $28 instead of $38. Is this meant to be an eyeshadow palette? I thought it was a powder and I've read most people treat it like that, but I just realized this might be wrong. Seriously confused now lol! I was seriously confused when I saw it. I tried it as a face powder and liked it, but then I saw that it said this on MAC's website, "Play with polka dots to create highlighting effects on your eyes..." So... that makes it seem like it's supposed to be eyeshadow and I was using it wrong? It works both ways, so I'm guessing that either way is correct. Forgot to mention that in my review! Haha, alright! The name confused me, because it says "powder to the people"... but yeah, I didn't read the description properly, I think you're right! 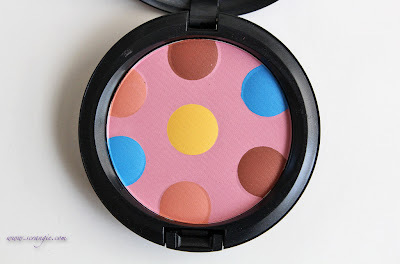 I've seen german bloggers use it as a face powder, it didn't work quite properly, the colors come out somewhat weird (they've all had very light skin tone, as far as I can remember). Guess this product deserves my special award for the most confusing product published this year! Two confusing products in one collection (those Shade & Smoke Shadow/Liners were puzzling), how about that? I...don't get it. Haha. It's cool looking, though. But that's about it, in my opinion. 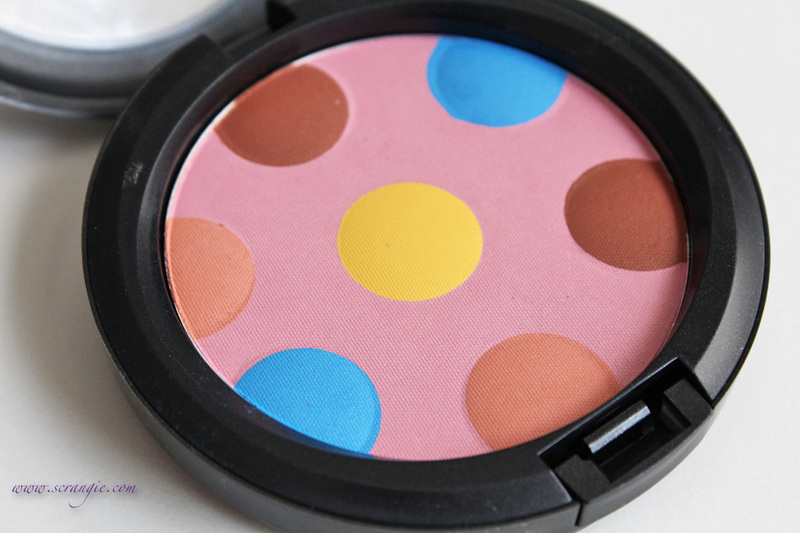 I wish that they'd just done that peachy polka dot as a blush alone! Cool looking, very odd. Silly MAC! hmmm interesting. Looks like a Mr Blobby theme though. I have to agree with Alison G. It does seem gimmicky. That being said, I think it's neat, Scrangie, how you discovered that it can be worn as a blush as well! 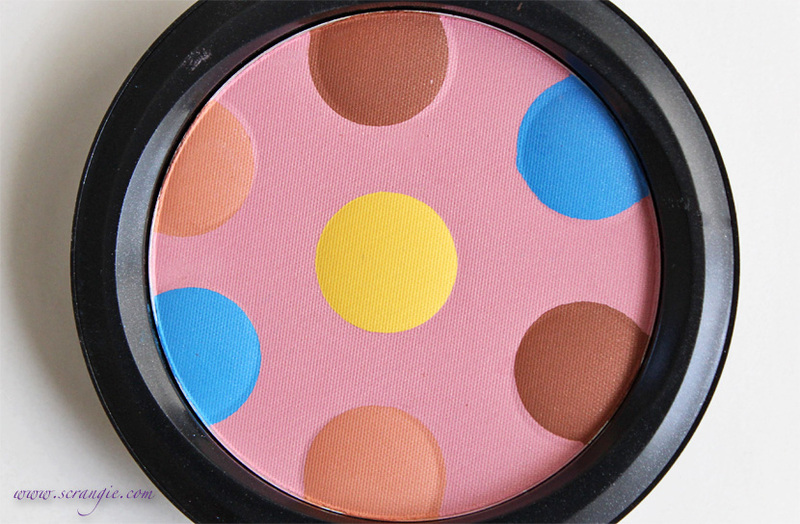 :) Looking at the product, I would've never guessed that because of all the polka dots of bright shades!